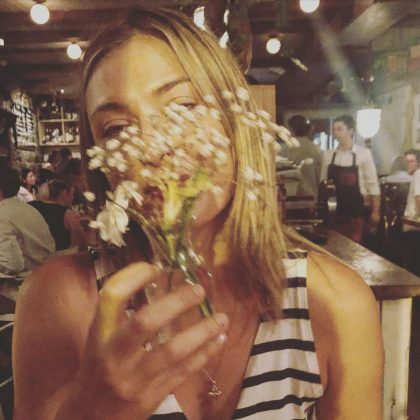 Maria Sharapova was “Camera shy on date night” in August 2018 at Montreal, QC, Canada’s Bocata restaurant and wine bar. 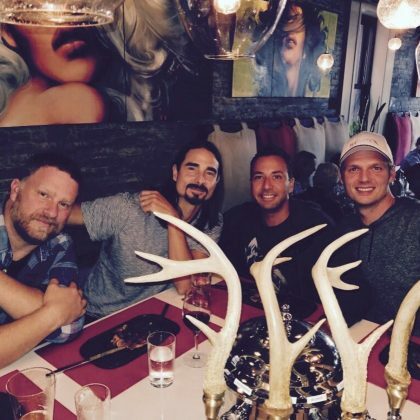 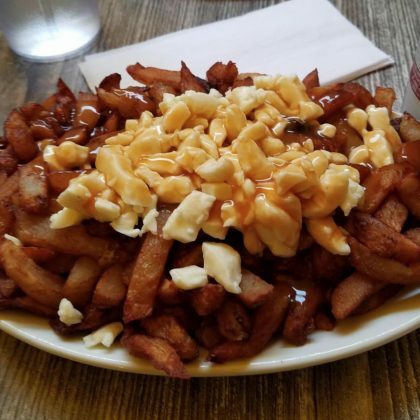 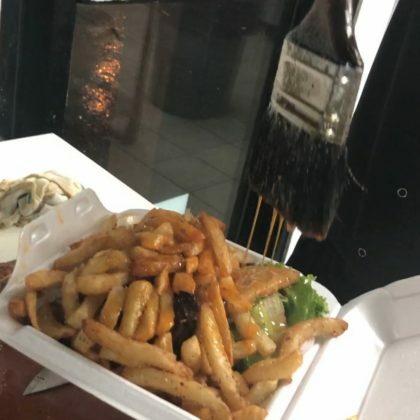 Jonathan Cheban was “Drooling from this Poutine and Portuguese chicken” that he ate at Montreal, QC, USA’s Ma Poule Mouillée Portuguese restaurant in June 2018. 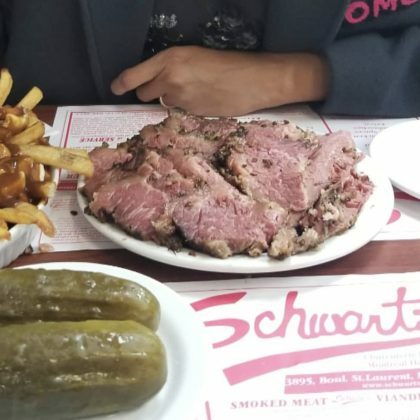 Freida Pinto and a friend shared a meal at Montreal, QC, Canada’s Schwartz’s deli in May 2018. 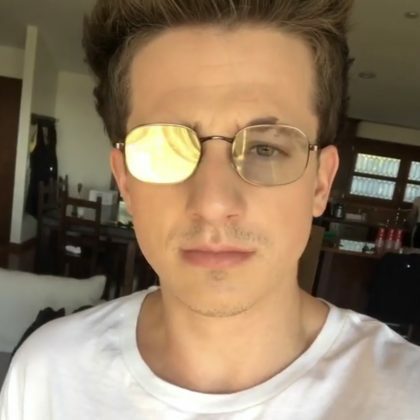 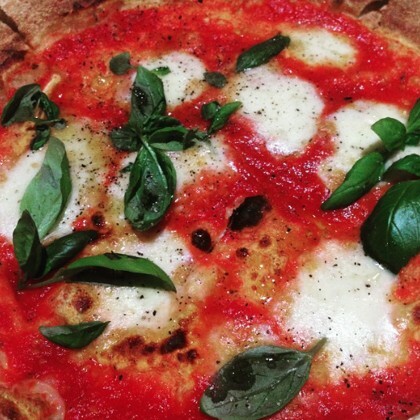 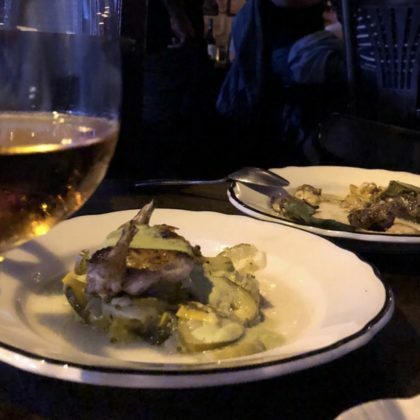 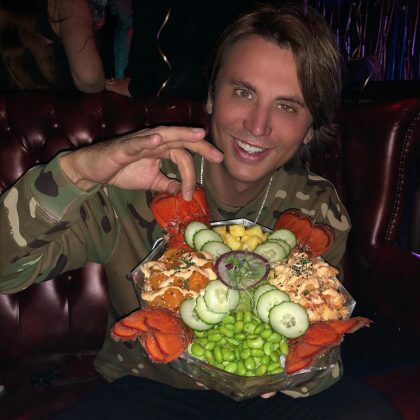 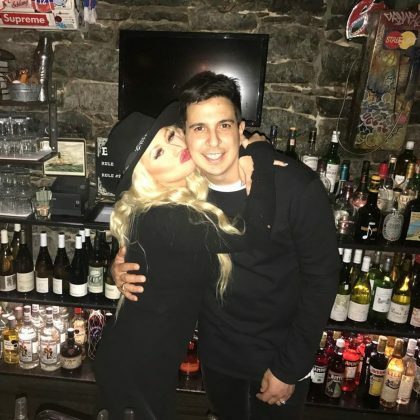 Jonathan Cheban dug into his dish at Arthurs Nosh Bar in December 2017. 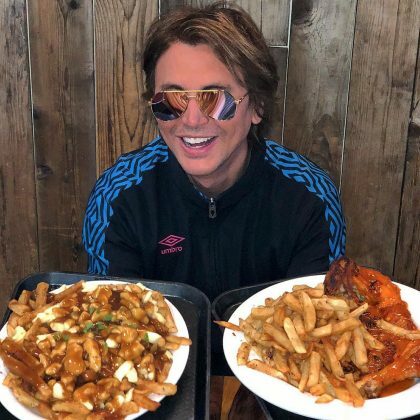 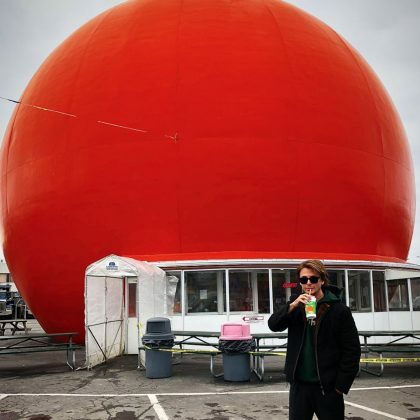 Jonathan Cheban chowed down on “Portuguese chicken And Poutine” from Romados in November 2017. 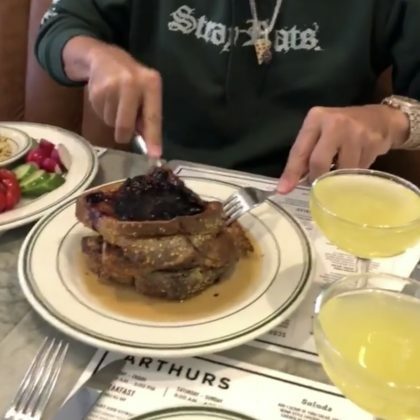 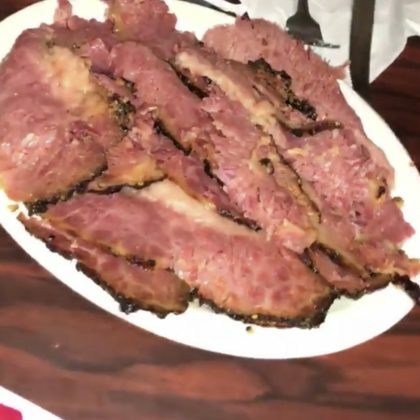 Jonathan Cheban had a plate of steak in front of him when he ate at Main Deli Steak House in November 2017. 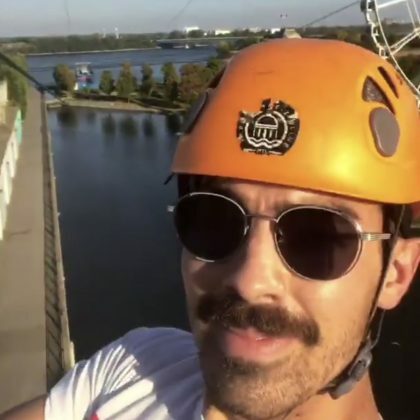 Joe Jonas took a turn on the Tyrolienne MTL Zipline in September 2017. 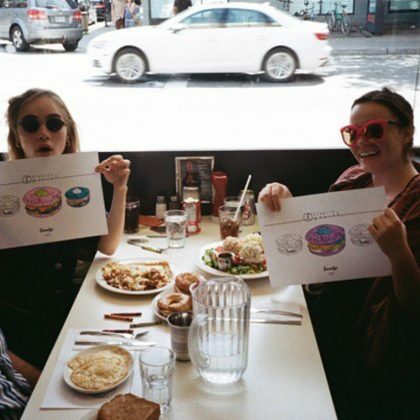 Suki Waterhouse colored in her menu with crayons when she sat in a booth at Beauty’s Restaurant with friends in August 2017. 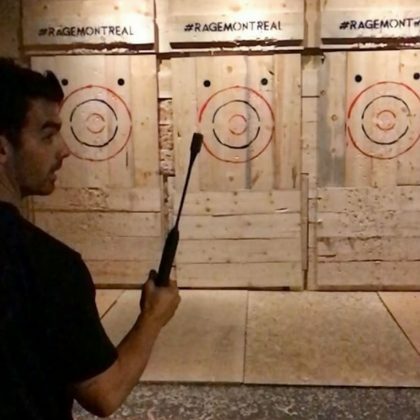 Joe Jonas nailed a bullseye when he threw an axe at axe throwing recreation center Rage in June 2017. 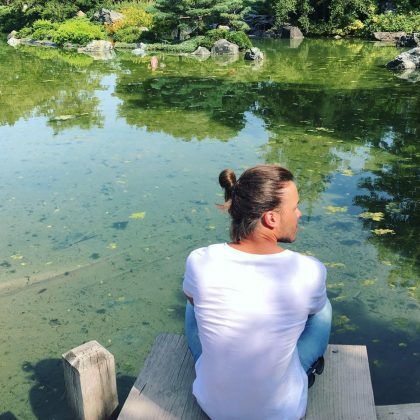 Prince Royce﻿ sat beside some peaceful water while in Montreal in September 2016. 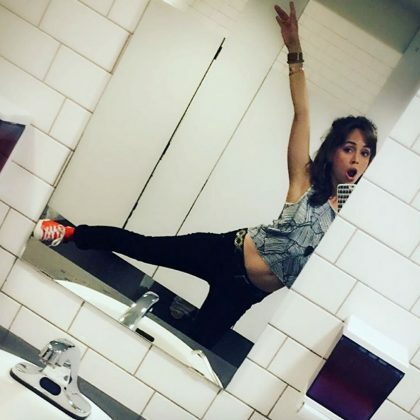 Eliza Dushku﻿ was checked in to Palais des congrès de Montréal in July 2016. 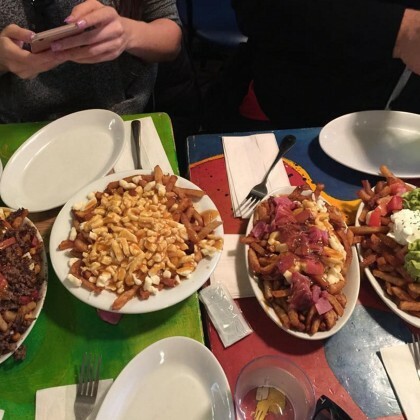 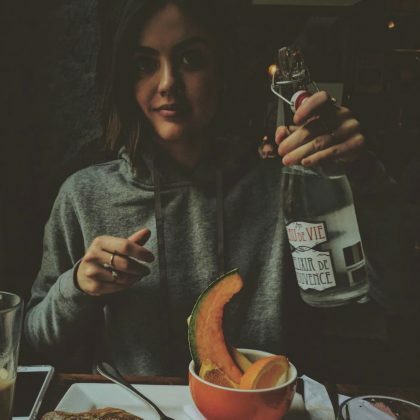 Eliza Dushku﻿ ordered a plate of “#poutine” when she was at the Montréal–Pierre Elliott Trudeau International Airport in July 2016. 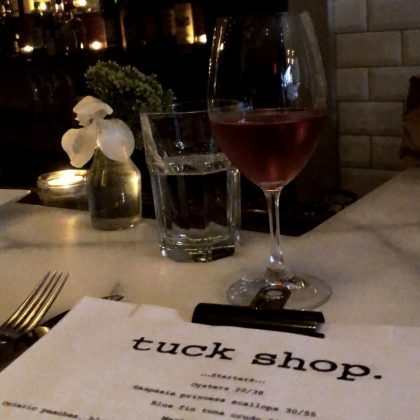 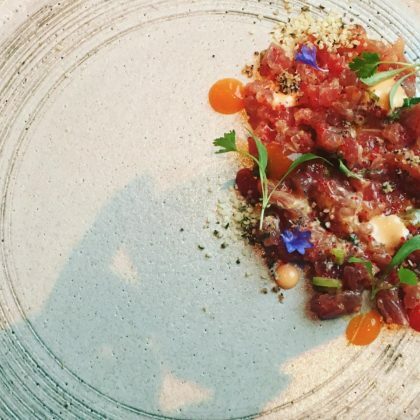 Kate Bosworth﻿ dined on “Tuna Tataki” ($25) at Restaurant Mercuri Montreal in May 2016. 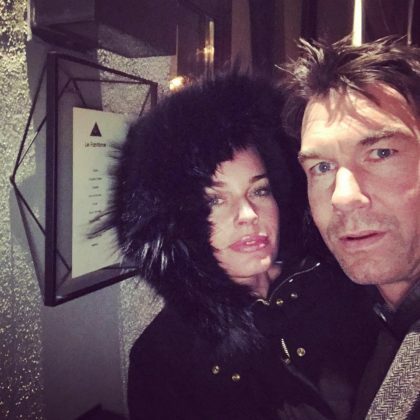 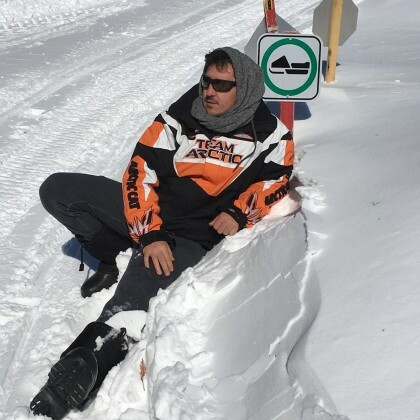 New Kids on the Block﻿’s ﻿Jonathan Knight﻿ sat in the snow while checked in to La Bannik in February 2016. 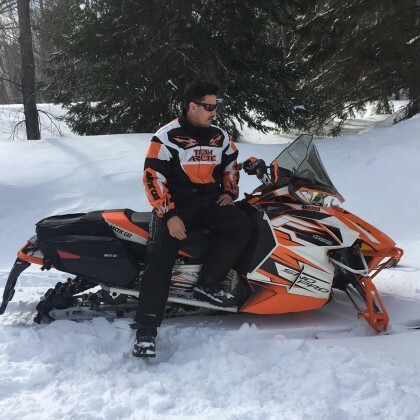 New Kids on the Block﻿’s ﻿Jonathan Knight﻿ felt “Too cool for school” while leaning against a snowmobile in Ville-Marie in February 2016. 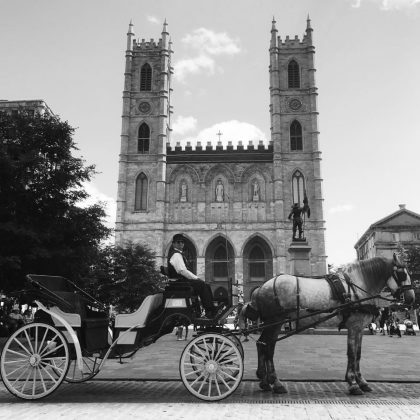 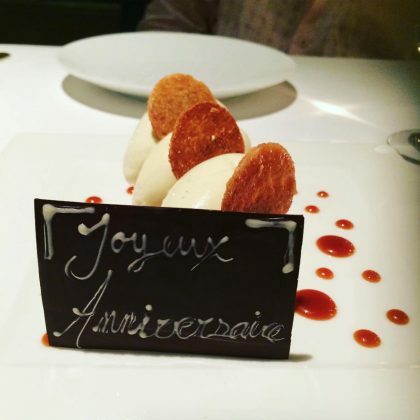 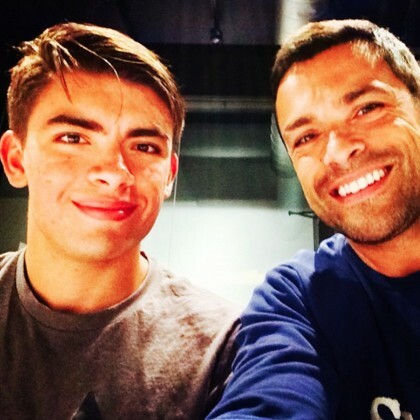 Mark Consuelos and his eldest son were “hitting the scene in Montreal” in June 2015 with a “Great dinner” at Estiatorio Milos. 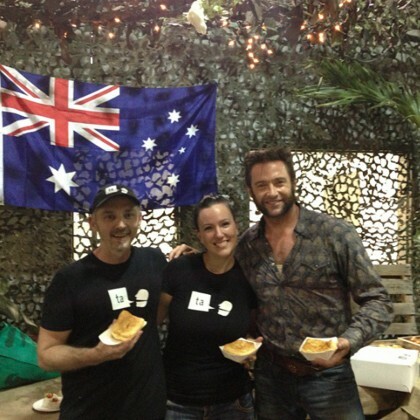 Hugh Jackman visited the Montreal Botanical Garden in August 2013 and said, “I see Mt Fuji everywhere! 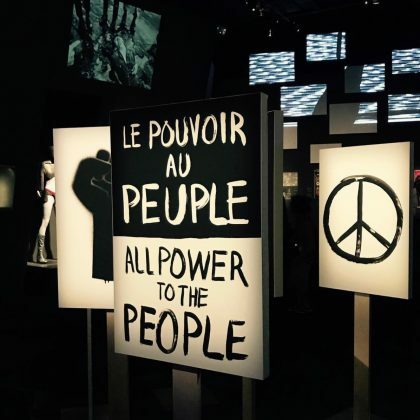 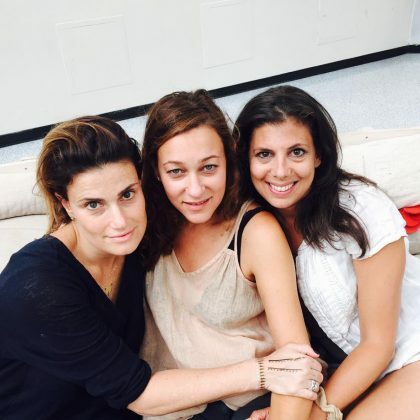 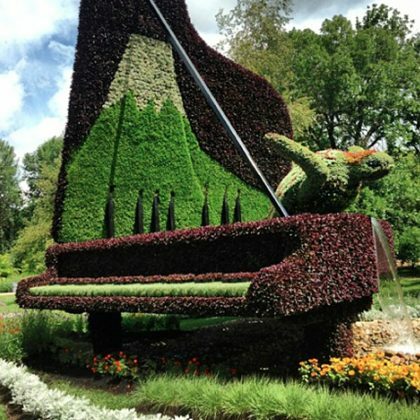 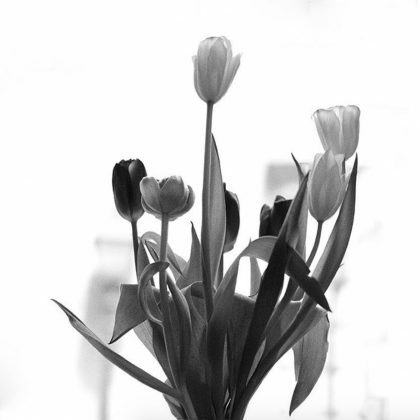 !” — even in the topiary piano here.